Hi everyone! I have a fun little project posted over on Lori Whitlock's blog today. 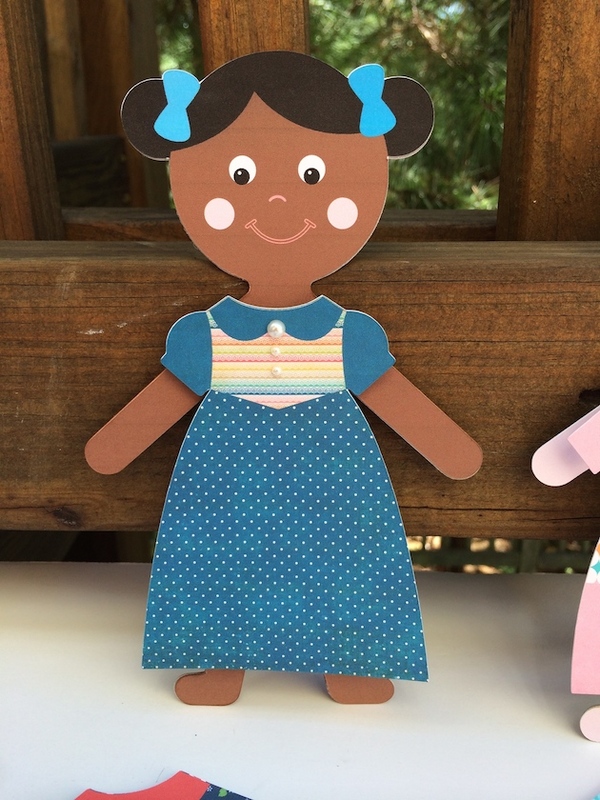 It would be a fun one to create for, or with, your daughters, granddaughters, or any other sweet little girl in your life. 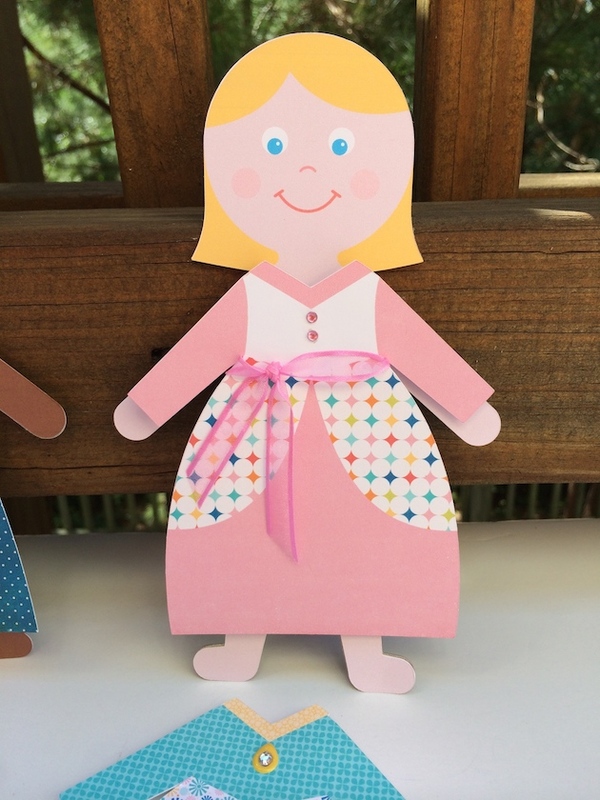 When I young, I loved to play with paper dolls. I would mix and match their little clothes and hope they would stay on, since the clothes just had those little fold over tabs...remember those?? 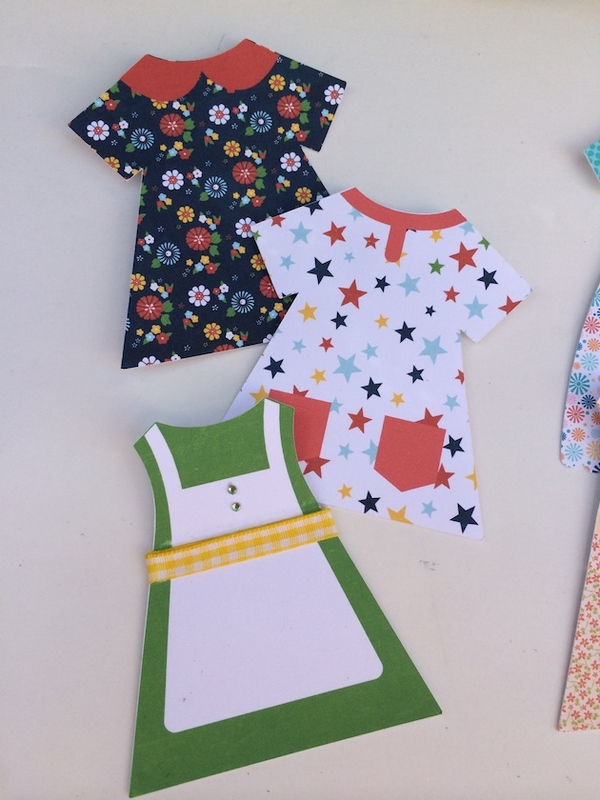 My favorite were the "Liddle Kiddle" paper dolls because sometimes they had magnetic clothes! 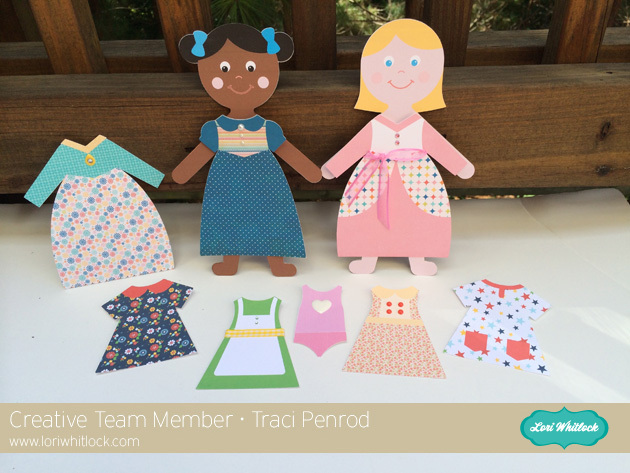 Well now, thanks to Lori and your digital cutting machine, you can create your own paper dolls and design their clothes with digital papers. Even though I'm way past the age for playing with dolls, I had SO much fun creating these! You will see when you download the cutting files for the dolls, that the dolls and their clothes are separate. I created the dolls first, dropping in color fill for the skin, eyes and hair. Next I grouped the pieces together and turned off the cut lines, except around the edge. I printed the dolls out, cut them with my Cameo, and then cut them out of Silhouette's chipboard again. Backing the dolls with chipboard made them a little more sturdy. 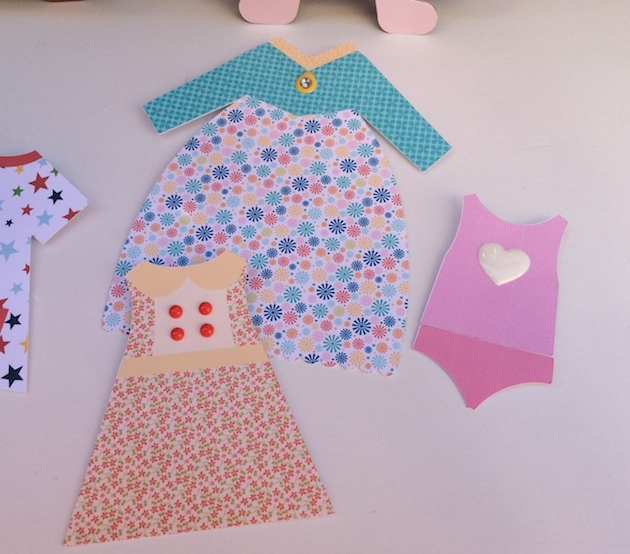 For the doll clothes, I dropped some of Lori's digital papers into the pieces first. You can purchase her digital papers at Snap Click Supply Just drag them from your computer directly into the shapes (using Designer Edition software). Then do print and cuts for each piece! This is really fun and you could involve your daughter or granddaughter in the color choices for each outfit. As you can see, I also had fun adding ribbon, enamel dots, and bling to the clothes. Finally, I attached a small piece of velcro to the front of each doll, and to the back of each dress so that their clothes could be interchangeable. I hope you have fun with this little project! Thanks for letting me share it with you today! Wedding kits are back in stock!